Metal-On-Metal Hips – A Colossal Failure? Total hip arthroplasty is one of the most successful surgeries of the past several decades, as it has relieved pain and restored movement to hundreds of thousands of people, but growing technology brings growing concerns. The U.S. Food and Drug Administration (FDA) has ordered twenty-one (21) artificial hip manufacturers to conduct studies of the Metal-on-metal (MoM) hip replacement devices, and how they can adversely affect patients, after having received close to 11,000 reports of defective hip failures from January through September of 2011. A recent study revealed that the metal-on-metal hips failed three times more often than other artificial hips. These artificial hips include models manufactured by DePuy (Johnson & Johnson), Wright, Stryker, and Zimmer. Crazy as it seems, artificial hips were approved under less stringent regulations, regulations that did not require human testing. Despite the fact that these devices have been implanted into hundres of thousands of people, many of the devices where never tested IN humans. All artificial hip replacement systems have risks related to implant or material wear, however metal-on-metal replacement systems have unique risks. While it is reported that the MoM implants wear much less than metal and plastic implants, the wearing that does occur with MoM implants causes the release of metal ions into the body. As designed, the metal ball and the metal cup slide against each other during walking or running, which can cause tiny metal particles to wear off of the device, and enter into the space around the implant. These metal ions can be detected in blood and urine samples, and the levels tend to increase as time passes. The metal particles, cobalt and chromium, enter the blood stream and can be distributed to other areas of the body, and have effects on the heart, nervous system, and thyroid gland. The discovery that these metal ions can slowly accumulate in the body have people concerned about higher rates of cancer and allergy-like reactions to the metal. Manufactures are trying to point their fingers at the DuPuy ASR (Johnson & Johnson) as the primary problem, as it contains a shallow cup; however, many believe that the same risk of problems caused by metal poisoning exist with other types of metal-on-metal hip replacements. While this may be true, it is Johnson & Johnson that is on the hook for failing to correct or warn patients of the apparent problem. 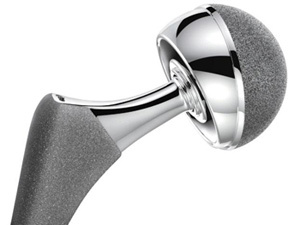 Plaintiffs’ lawyer argue their is evidence that Johnson & Johnson and other hip replacement makers knew about the artificial hip defect for years, and in some cases, even replaced defective hips with another defective hip after patients complained of problems. In massive numbers, patients have brought suit against hip makers, most notably, Johnson & Johnson included. While the federally filed DePuy lawsuits were consolidated into multi-district litigation suit, and will be heard in the Northern District of Ohio, those filed in state courts will likely remain independent cases.